Well, well, back to New Cross Inn for an all day punk rock concert. And this time completely acoustic. Actually, I have to say the truth, I arrived late, just in time to see Dan Goatham playing, and the happy hour was finished, but you know, time in the big city flies away. Anyway, I was delighted to listen to Dan's songs which are a mix of acoustic punk and energy coming straight from the heart. He was funny, engaging and, of course, he is a great songwriter. 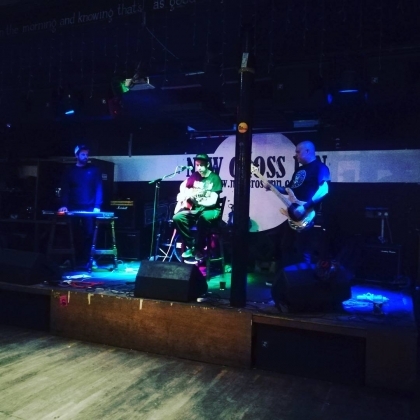 Check out is EP 'Lost Your Way', and the song which I liked most, Punks Don't Die. After Dan, Alex Wonk and friends hit the stage for a great and engaging set. Well, probably you know Alex Wonk as the leader of Wonk Unit, one of the most interesting punk bands of the recent years. Alex Wonk is a real punk rocker, fascinating and full of raw energy. And even if it was an acoustic set, all of this came out from his guitar. Then it was time for Sam Russo, kind of punk poet with his beautiful lyrics and voice. If you don't know him it is better if you check him out. And you can relax following the flow of his music. Ten o' clock and it's time for the super star of the night, Ray Rocket, singer of Teenage Bottlerocket, who presents his solo album, Do You Wanna Go To Tijuana?, in which Ray plays some covers and some brand new songs. If you have seen Teenage Bottlerocket live, you already know what to expect from him. A part being a great musician, Ray Rocket is one of the most funniest guys in punk rock. At the same time he can be really moving, especially when talking about his twin, Brandon, who sadly passed away. Above all, it's always a pleasure to see him playing. Best moments: Pet Sematary cover, First Time and of course, the classic song, Radio. 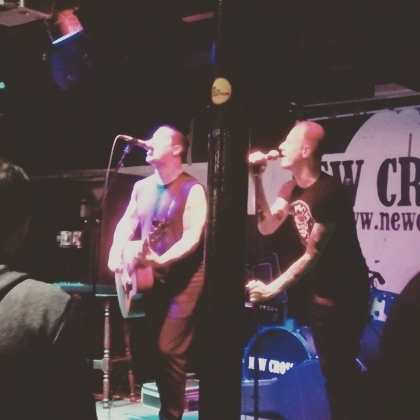 This night was the proof that New Cross Inn is one of the best and truest place for punk rock in town.